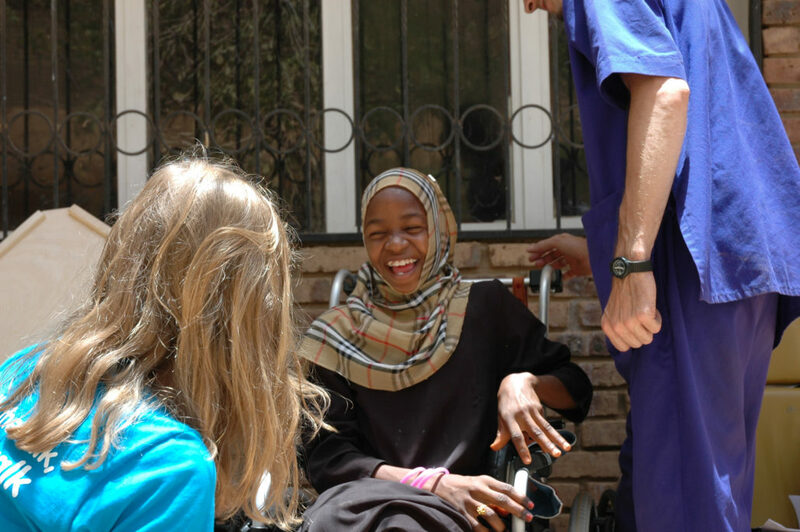 In May 2016, the Walkabout team arrived in Sudan to distribute a container of 204 paediatric wheelchairs. This was our second distribution in Sudan, a country where nearly half the population still lives below the poverty line. We conducted a week-long distribution in the Omdurman area, in the outskirts of the capital Khartoum, helping more than 200 children improve their daily lives (and their families’) by providing them with a wheelchair that is properly sized, fitted and appropriate for the terrain that these children will now be able to navigate. For many it was the first time they were nearly independently mobile. We were warmly received by the amazing teams of CSR Haggar Trading, the Haggar family, Usratuna and OVCI, whose employees, volunteers and physiotherapists made possible, despite all barriers, the safe arrival and successful distribution of a container from the other side of the globe. The Walkabout team was deeply moved by the warmth and generosity of all our local partners and the Omdurman community and families, who patiently endured the 40°C+ weather. We are hugely thankful to those who helped us locally on this trip, especially Maria Luz and Anthony Haggar, but most importantly we would like to thank you, our donors, whose continued support has allowed us to return to Sudan. On April 12th 2016, Walkabout foundation travelled to Panama for the first time to distribute a container of 250 RoughRiders. 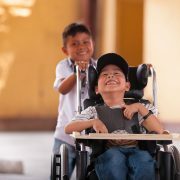 Despite the country’s economic growth over recent years, about 25% of Panama’s population lives below the poverty line, and almost 10% suffer from some kind of physical disability. Our distribution coincided with the 30th anniversary of the Special Olympics in Panama, and we were honoured to be asked to deliver our first chairs in the new sports centre for the disabled in the area of San Miguelito. We were joined by President Juan Carlos Varela and Mr Tim Shriver, Chairman of the Special Olympics Committee and son of its founder, Eunice Kennedy. Witnessing the enthusiasm, courage and dedication of over 200 intellectually disabled children and young adults was a truly humbling experience. 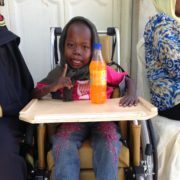 We then gave over 40 children their first proper wheelchair from a neighbouring special needs school. Until now, these children had either been sharing one of the few chairs available at their school, or did not have access to one at all. We would like to thank the Secretaria Nacional de Discapacidad for all their work in partnering with us on this distribution. We are also especially grateful to the newly built windmill park Laudato Si, who financed 50% of this container, hoping to set an example for other corporations to follow. Thank you lnterEnergy and Rolando Gonzalez-Bunster! And of course, these trips would not be possible without the continued support of you, our donors; and there is still a huge amount of work to be done! On 4 April 2016, Walkabout travelled to Guatemala to distribute 180 Hope Haven paediatric chairs and 70 postural support adult chairs. We were joined by the amazing Hope Haven team, made up of physios and wheelchair technicians, many of whom were in wheelchairs themselves. We conducted two distributions – one in the highlands, and the other by coast – and gave chairs predominantly to indigenous Mayan communities, who are generally the poorest in Guatemala. Every child and adult was independently assessed and each chair was adapted perfectly for each recipient, to fit their often complex needs. We met a number of people whose lives had been affected by gang violence and who had suffered spinal cord injuries as a result of gun shots. One of these was Hope Haven member Oscar. Oscar sustained a spinal cord injury when he was shot 11 times by gang members, simply for witnessing a crime. He was lucky to survive. Oscar struggled for many years to provide for his family, as is so often the case for people with disabilities in Guatemala, until he received a job from Hope Haven. He said he found freedom being able to serve others who were in a situation like his, and this helped him come to terms with his disability. Oscar has since played wheelchair basketball for his country; he is a real inspiration. It is truly beautiful to witness someone being fitted for their first wheelchair by another wheelchair user. 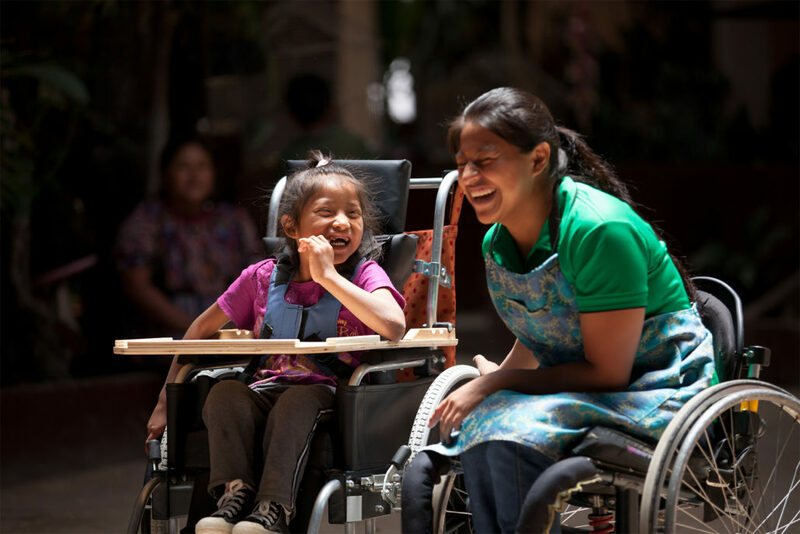 It brings so much light and hope to the recipient and their family; they can see exactly what they could achieve, and the possibility, opportunity and joy a wheelchair can bring. In a country that does little to help its large disabled population, these disabled wheelchairs are priceless. The Walkabout team was deeply moved by the warmth and generosity of the 250 Guatemalans whose lives will be changed by these wheelchairs. We are extremely grateful to the Hope Haven team for their technical support and professionalism. And finally, we are hugely thankful to you, our supporters – without you, this trip would not have been possible. 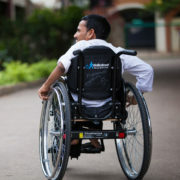 Last week Walkabout returned to India to distribute a container of wheelchairs with our local partner, APD in Bangalore. In total we fitted 257 wheelchairs to children and adults suffering from a variety of conditions ranging from cerebral palsy (CP) to spinal cord injuries (SCls) very often sustained as a result of traffic collisions and accidents at work. The number of children born with CP in India is very high, especially in the poorer rural areas, where marriage within the same family, although in decline, is still fairly common and where antenatal care is negligent and many women give birth in unsuitable conditions. 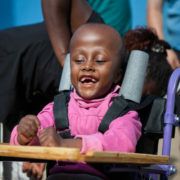 The problem is further aggravated by the fact that these parents often have no means or guidance whatsoever on how to take care of their disabled child, who will suffer unnecessarily from a variety of side effects such as severe postural deformities and malnourishment due to inadequate care. As for those spinal cord injured, their families also frequently have no knowledge on what care is required and consequently many suffer from life threatening infections and pressure sores that could have been easily avoided. Fortunately, there are wonderful organisations doing amazing work to serve their communities, some of which we are privileged enough to work with. APD, for example, is doing an incredible job through their early intervention programme, where they liaise with local hospitals to identify CP cases at birth and give appropriate advice and support to the families, and through a spinal cord rehabilitation unit they operate. They also run an extraordinary livelihood programme where they train disabled people on a variety of vocational skills ranging from gardening to hospitality and computer skills. We visited their horticultural centre in the outskirts of the city where 150 disabled individuals learn gardening skills over 3 to 6 month courses and leave to a guaranteed job which APO sources for them. We were deeply moved and humbled by everything we saw and learned during our stay in India. 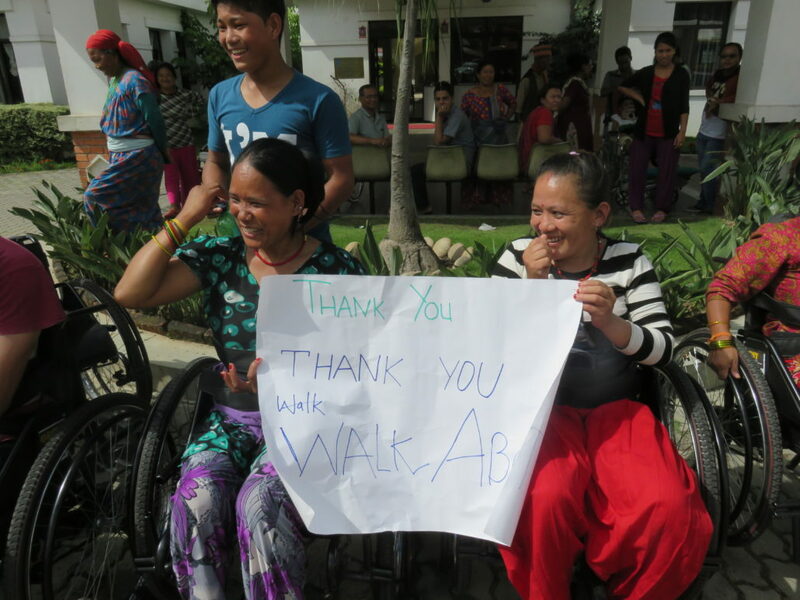 Walkabout truly hopes to continue to count on your generosity to be able to support these invaluable organisations through wheelchairs and rehabilitation. 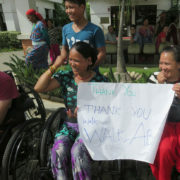 A few weeks ago a cargo of highly specialised wheelchairs from Walkabout finally hit Nepal. It was a long and arduous journey from GRIT, our manufacturers in the South of India. Following the devastating earthquake back in April, only one particular type of truck, in high demand, is currently able to overcome the country’s now even more treacherous terrain. Since the earthquake, the Spinal Injury Rehabilitation Centre for Nepal (SIRC) has been overwhelmed with the demand of those needing treatment and long term care for spinal cord injuries. The one hundred Leveraged Freedom Chairs (LFCs) we sent are no ordinary wheelchairs. Riders push levers instead of wheels, giving them the torque they need for the extremely rough and mountainous terrain of Nepal. SIRC were joined by an expert LFC technician from India and the seating team, Team Canada Healing Hands (TCHH), who had flown all the way from Canada. This skilled international team ensured each chair was fitted to the respective individuals’ body shape, size and needs. Furthermore, each recipient received wheelchair skills training, learning how to move around, maintain and repair their new wheelchair. This is an essential part of how at Walkabout we view wheelchair provision as often an incorrectly fitted chair, without the appropriate training, may do more harm than good. We are extremely proud to have helped these one hundred individuals and the numerous others that this wheelchair will impact, in particular their families and communities. This was only possible due to all our wonderful donors who so promptly and generously supported our Nepal campaign and to whom we send a huge thank you. We would also like to thank our partners, SIRC, our suppliers, GRIT, and the TCHH seating team who all continue to do an incredible job. Thank you! In October 2015 we travelled to Argentina, where we distributed a container of 250 RoughRiders with our amazing local partner, Fundacion Banco Provincia (BAPRO). We travelled around the province, distributing specially adapted chairs to both children and adults, and meeting some truly incredible and inspirational people. We would like to share a few with you. Marcelo is 30 years old, and lost both legs in a train accident aged just 15. He is clever and capable but has never been able to find a job — until now he’s been living on meagre state benefits while begging on the streets of Buenos Aires. 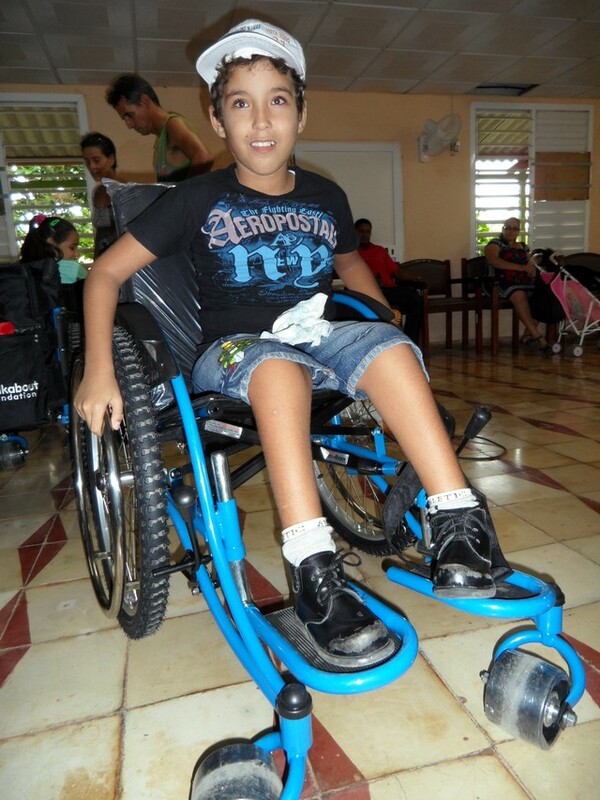 Thanks to the coordinated action between Walkabout, BAPRO and local partners Marcelo now has his first ever wheelchair, new prosthetics on the way and has just received a job offer at a local library! Priscilla turned 10 the day we gave her a wheelchair. 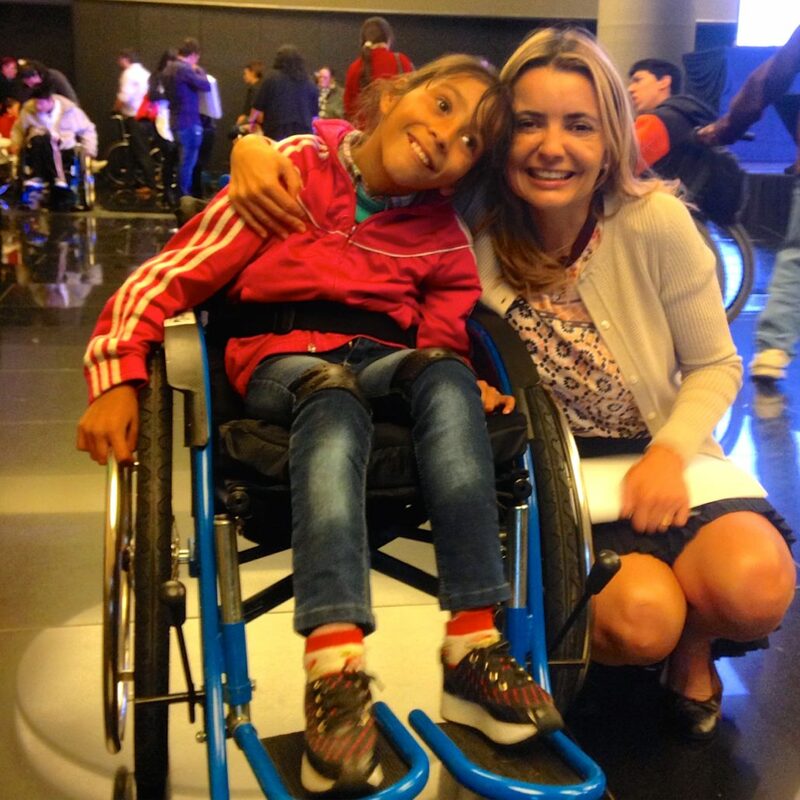 She suffers from myotonic dystrophy, as does her three year old sister Zaina, with whom she had been sharing an old and battered wheelchair. Priscilla was thrilled and couldn’t stop smiling! And don’t worry, we didn’t forget her sister – she got a brand new RoughRider too! 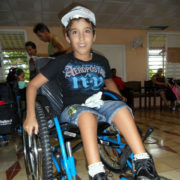 Nestor put on his Sunday best to receive his wheelchair. 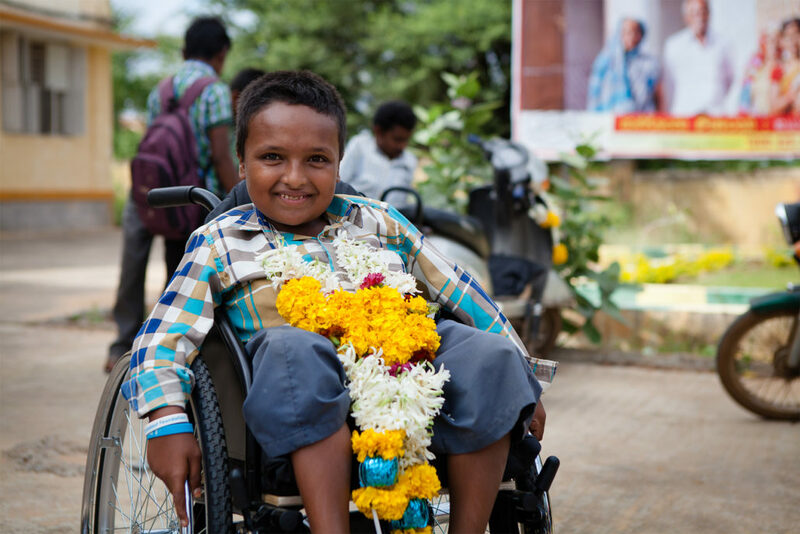 He had polio as a child but that has never stopped him from living life to the full. He is a great cook and at 70 is still a true “galan” (go check that in your dictionary!). It wouldn’t have been possible to change the lives of any of these incredible individuals or the other 247 without your amazing generosity and support. Many asked us to thank you so here goes the biggest Thank you! We are proud and humbled to announce that on June 27th 2015, we hosted our very first Walkabout Gala with President Bill Clinton as our keynote speaker, which raised over 1.5 million pounds (or 2.4 million dollars)! The former US President attended the black tie event held at London’s Natural History Museum and delivered a moving speech praising our co-founders, brother and sister, Luis and Carolina Gonzalez-Bunster. “When they started Walkabout, I was touched by the fact that they wanted to do two things that to me are highly compatible – paralysis research and empowering people in very poor places to beat the stigma that surrounds all kinds of physical disabilities” said President Clinton. He was joined by a host of stars, including Formula 1 driver Jenson Button, supermodel Natalia Vodianova, Prince Nikolaos and Princess Tatiana of Greece, actors Ed Westwick, Michelle Yeoh, Naomie Harris and Stephen Merchant, with TV presenter, Tania Bryer, acting as the evening’s host. 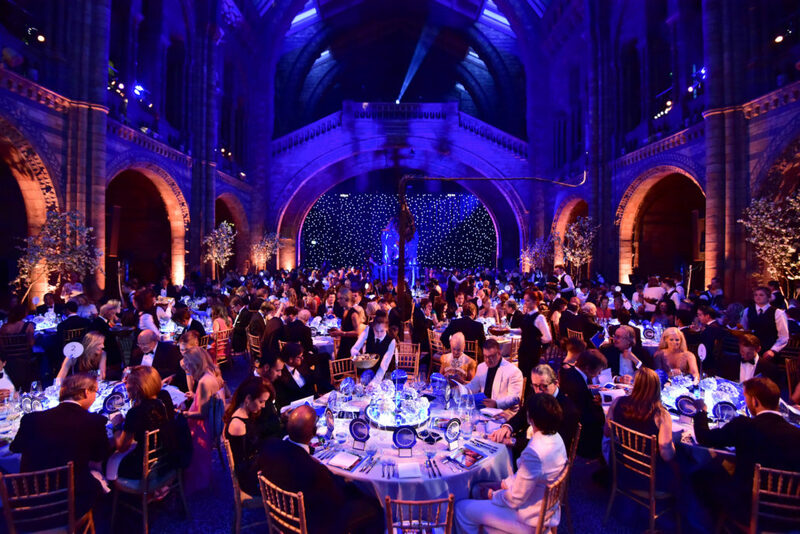 Afters three-course dinner in the spectacularly decorated dinosaur atrium, thanks to Polar Black Events, art expert Simon de Pury got the charity auction under way. Lots included lunch with Damien Hirst and the ultimate McLaren experience with Jenson himself. The evening, which ended with an energetic performance by Chic star Nile Rodgers, will change the lives of thousands and help to make a reality the first Walkabout therapy and vocational training centre in Haiti. On the 14th of June Walkabout Foundation made its second trip to the Soft Power Health clinic in Jinja, a town in the eastern region of Uganda near the banks of lake Victoria and the River Nile, and surrounding villages. We brought with us another 200 ‘Tough Rider’ and ‘Salama’ wheelchairs, supplied by the Association for the Physically Disabled of Kenya (APDK), as well as an expert team of volunteers and physiotherapists. Throughout the distribution the team tirelessly devoted their time and expertise to making sure that every wheelchair was fitted according to each person’s challenges and needs. This was a very demanding task, as many of the recipients were children suffering from severe cases of cerebral palsy, malaria, hydrocephalus or polio. 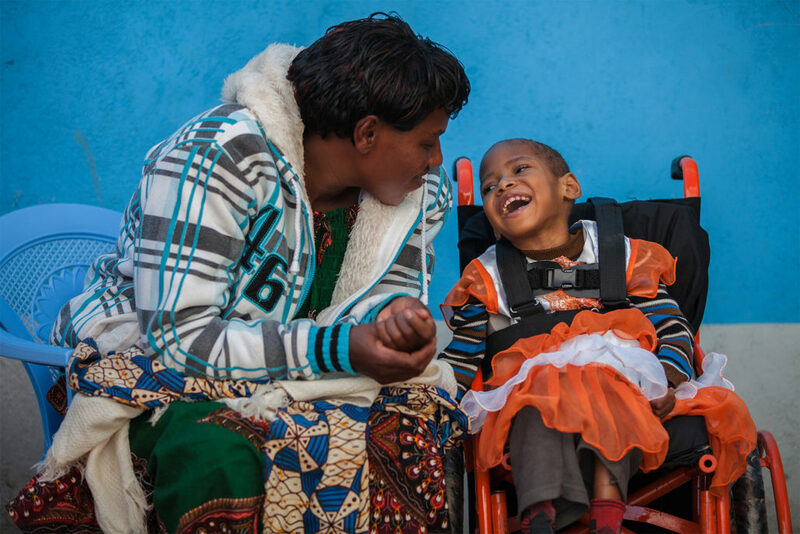 Everyone was stunned by the complexity of the disabilities they encountered, but left inspired and deeply moved after providing another 200 people with the chairs they desperately needed, bringing new hope and possibilities for a brighter future. We’d like extend our special thanks to the team at Soft Power Health clinic, who hosted the project and gathered together numerous physiotherapists who are in scarce supply in Uganda. This means that each recipient received, and will continue to receive, the highest level of care. We’d also like to thank our volunteers, whose dedication and passion is continuing to make the Walkabout vision a reality, changing hundreds of lives. 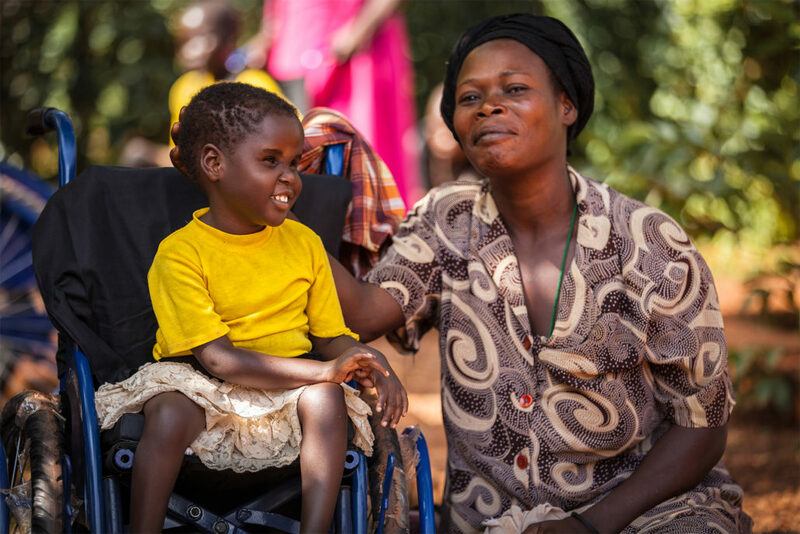 In June 2015 Walkabout Foundation travelled back to the United Disabled Persons of Laikipia (UDPL) clinic in Nanyuki, Kenya, to distribute a further 200 wheelchairs. This year we also funded our first ever World Health Organisation Wheelchair Provision Training run by our supplier and partner, Association for the Physically Disabled of Kenya (APDK). During the first week, nine local Kenyans and one Walkabout team member were fully trained in how to medically assess, fit and support wheelchair recipients. Our local partner, UDPL carefully hand-picked those who would be trained, individuals who work within the disabled community but lacked the fundamental knowledge and skills to serve those who need wheelchairs. 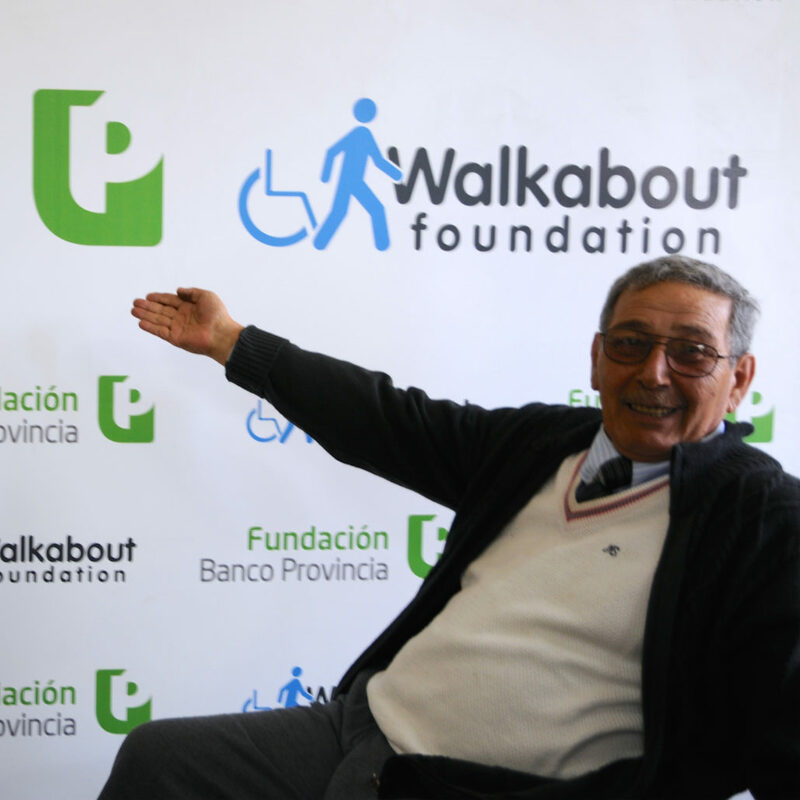 Empowered by their training, Walkabout now has a network of motivated and proficient local volunteers who can serve wheelchair users on a day-to-day basis, even while our team is not present. The following week they were able to put their new abilities into practice. With the help of UDPL, a few physios, local volunteers and a team of faculty members from Greenwhich County Day School in Connecticut, Walkabout distributed 200 rough terrain wheelchairs to adults and children in desperate need of one. Thank you to all of our volunteers, partners and most of all to our supporters who made all of this possible. 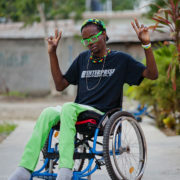 100 wheelchairs are now making their way to Haiti, just in time for Christmas, as part of Walkabout’s ongoing commitment to change more lives and help the country recover from the devastating earthquake back in 2010. This directly follows on from another very successful distribution of 300 wheelchairs in November, bringing the total number of chairs sent to Haiti this year to 720. The Prime Minister, Laurent Lamothe, has been taking a really hands-on approach, helping our trained volunteers to build and individually fit the wheelchairs, and we witnessed first-hand evidence of yet more people for whom chairs have changed lives. One person whose life was transformed by her custom-fitted Walkabout chair is 17-year-old Iclide Simeon, from Jacmel in southern Haiti, who lost the use of her legs after she was shot in September 2013. Iclide was beginning to develop a postural deformity in her spine owing to an ill-fitting wheelchair from which she repeatedly fell. 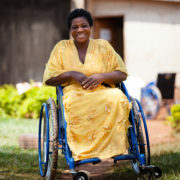 Now, thanks to her new Rough Rider chair, Iclide can comfortably and independently receive the physical rehabilitation, psychosocial support and vocational skills training she needs to prepare her for reintegration into the community. Another Rough Rider recipient for whom life is much less of a struggle is 31-year-old Zephyrin Chrism, who became paraplegic after falling from a tree in April of this year. Zephyrin was experiencing extreme discomfort from using a wheelchair that was too small from him, but is now very happy and his new chair he received in October is his pride and joy. We would like to say a huge thank you to our local partner in Haiti, BSEIPH, and in particular to David Charles and Gerald Oriol for all their hard work. And we would also like to thank all of you who have supported our endeavour in Haiti through your generous donations. So far these have enabled us to distribute 2,300 of the 10,000 chairs we originally pledged. If you would like to change more lives like these by making a contribution to this programme, or to a project in any of the other countries to which we distribute, just follow the tab above to our “donate” page and give whatever you can. 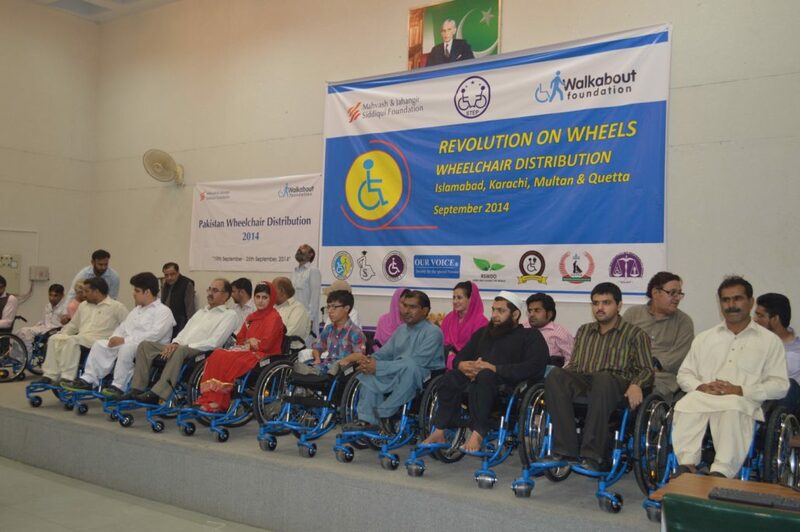 In 2014, Walkabout Foundation returned to Pakistan for a second time to transform the lives of 250 men and women across Islamabad, Lahore and Karachi. 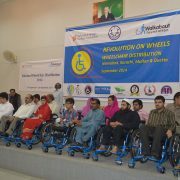 These individuals, struggling with mobility disabilities in Pakistan, were provided with RoughRider wheelchairs which are exclusively designed for the rugged and rough terrain of the developing world. Our successful distribution would not have been possible without the help of our local Pakistani partner, Mahvash and Jahangir Siddiqui Foundation, and a special thank you to Ali Munir without whom this distribution would not have been possible. Thank you for helping to change more lives in Pakistan! On 28 October 2014, Walkabout visited Cuba for the very first time. 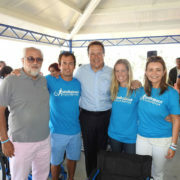 In partnership with ACLIFIM, a Cuban organization that works with physically handicapped people and amputees to help them integrate into society, we launched our first project with a distribution of 250 wheelchairs. 200 Rough Riders and 50 paediatric chairs were individually fitted to people in need from Mayabeque, Havana, Artemisa and Matanzas. We would like to say a special thank you to a very generous donor, Eduardo Costa, whose amazing fundraising efforts in the New York City half marathon back in March made all this possible. If you would like to raise money for Walkabout and have a say in where we distribute our wheelchairs, just send us an email at info@walkaboutfoundation.org.